UNISON members have set up groups for people who have interests in common, and who have traditionally been under-represented in many organisations. These groups are called self-organised groups and cover women, Black members, disabled members and lesbian, gay, bisexual and transgender members. There is also a retired members group and a young members group, which work in a slightly different way to the other self-organised groups. If you would like to find out more about self-organised groups in your area, your branch will be able to give you contact details. There are women’s groups at every level in UNISON: local, regional and national. This is how women address issues that particularly affect them, issues like low pay, discrimination and harassment. Those issues and others can then be discussed at the annual national women’s conference and worked on by the elected members of the women’s national committee. 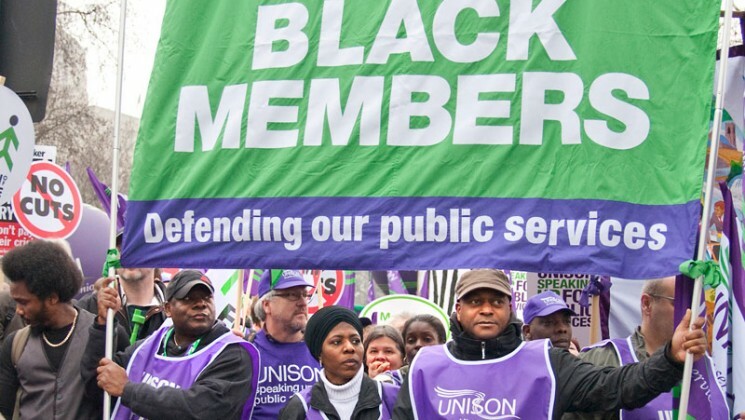 UNISON supports a growing network of active Black members in branches and regions across the union. By coming along to your regional Black members group you can find out more about local and national events. Our national Black members committee works with all parts of the union to improve the working lives of Black members, and holds an annual Black members conference. Disabled members of UNISON are coming together to challenge discrimination and to break down the barriers that prevent them playing a full and equal role in society, both inside and outside of work. There are regional disabled members groups that hold a range of different meetings and social events, so why not go along and find out more. Your branch can help with details. Our national disabled members committee and our national annual disabled members conference set the priorities for the union’s work in this area. LGBT people in UNISON organise locally and nationally to support each other, to identify discrimination, to increase awareness of LGBT rights and to campaign for change. You can find out about local and national events through your regional group, who can also put you in touch with other people who share your concerns. LGBT members meet as a self-organised group at national level and there is an annual LGBT conference. UNISON has one of the largest young memberships in a UK trade union and offers lots of opportunities for our young members (under the age of 27) to get involved in the union. Every region holds a young members’ forum, and we have a national young members’ forum that gives young members a voice at the top level of the union. We encourage young members to come along to our national young members’ forum which is held every year and offers you a series of skills based workshops and debates to help you get more active in the union. When you retire, you don’t have to give up your membership of UNISON. The skills and experience of retired members are vital at UNISON, which is why we have a retired members section that has its own annual conference and local and regional groups. Each UNISON branch has a retired members officer, and we are always looking for retired members who can offer their time and experience to help our branches and members. National delegate conference is UNISON’s big conference of the year at which members decide the issues and policies that UNISON takes forward. Every UNISON branch elects delegates to attend and vote on behalf of their local branch members – and we want to make sure women, Black, LGBT, disabled, retired and young members are represented fairly.